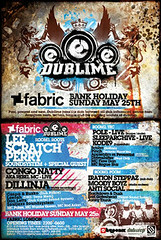 Dublime @ Fabric Sunday 25th May featuring Lee Perry Soundsystem, Congo Natty aka Rebel MC, Dillinja, Loefah, Don Letts, Souljazz Soundsystem, MCs Pokes, Warrior Queen and Rod Azlan. Pole, Sleeparchive, Kode 9, Scuba, Pinch, Appleblim vs Peverlist, Downshifter with MCs Flow Dan and Rogue Star. Iration Steppaz, Moody Boyz, Anti Social, Dusk & Blackdown, Earl Gateshead and Jonny Trunk. It was around the end of 2001 that I decided I wanted to learn to produce. The early Forward>> parties at Velvet Rooms had got me hooked and so I set myself some goals. One of them was that I dreamt of playing Fabric. It seemed laughable at the time, in fact my friend, who I expressed this goal to (hey James!) definitely had a good laugh. Getting to a stage where I’d play the club seemed so impossibly far away that I couldn’t even see the steps required to get there. In fact they remained distant as close as this Christmas, over seven years later. But I’m playing Fabric this Sunday. I blame the dream. In general, I’m not overly mad about dreaming. The term seems synonymous with people of no action or direction. It conjures up suggestions of naivety, which won’t get you very far. But there’s another kind of dreaming. I guess I tend to focus on what’s possible, what’s real or what’s around me. Electronica’s headspace irritates me because it’s all plastic utopias, whereas dubstep’s bass is grounded in reality. But the key part of getting to where I’ve wanted to be has been allowing myself to not just accept what’s around me but to dare to imagine what could be. The first time I mentioned the words “Dusk + Blackdown album” it was summer 2006 and I’d been on the phone to our (very understanding) distribution company. Just me saying the words out loud had left me shocked. I came away from the phone and thought “damn, I’ve said it out loud now, I better go work out how to do it.” I’d dared to dream. So there we are: Dusk and I are playing Fabric on Sunday. Seems insane but it’s true. I for one won’t be taking it for granted. "I'm not saying I'm big/but my face is in the Guardian..."
Mr Stelfox comes correct with a piece in today's Guardian about grime mixtapes. Thanks to Dave not just for the kind words about "The Bits" but for getting a massive shot of Trimbale into the paper, where he rightly belongs. "...Nan, thanks for the cardigan." We were back on Rinse this week, Thurs 8th 11pm-1am rolling the grimey, wonkey and skippy. The lights blew out half way through, which actually added to the vibe. Here's the offical download link. Out to David M for saving our audio bacon with the recording of this one. In the meantime, you can still download the last show from the Rinse podcast (via iTunes) or from the Rinse blog here. You can still download the February show here. I'm going to reach Sonar for the first time this year. Mary Anne, Mala, Shackleton, Flylo, Diplo and some sun, sea and pedalo seemed too much to resist. Now, I could just as easily pack a few dubs with me. You know from our Rinse show we've got a few. So if you're in Barcelona and looking for some bass pressure around the festival, give me a shout. Trim sets out his stall on this dis-dub by taking the classic grime route of attacking an opponents’ identity by abusing his (brand) name. 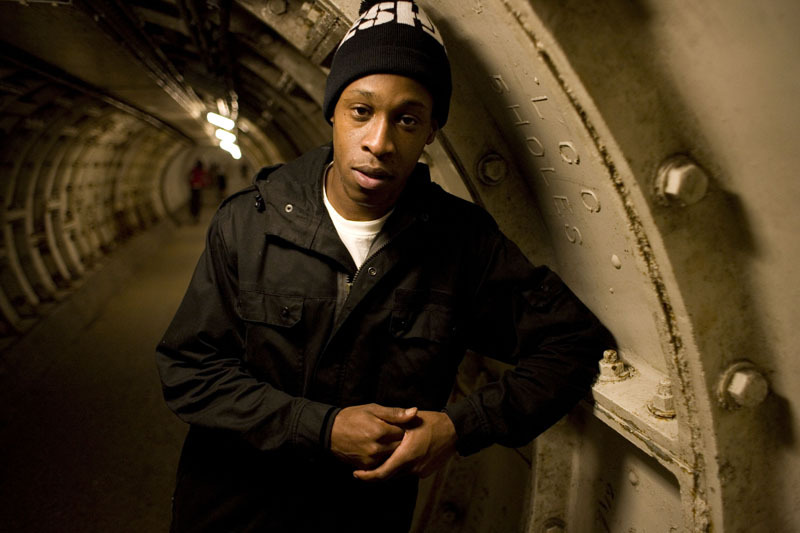 Hence “Low Dan” is a play on both the explanatory term “the low down” and Roll Deep’s MC Flowdan’s name, the crew Trim is now an ex-member of, which this dis-track is aimed at. 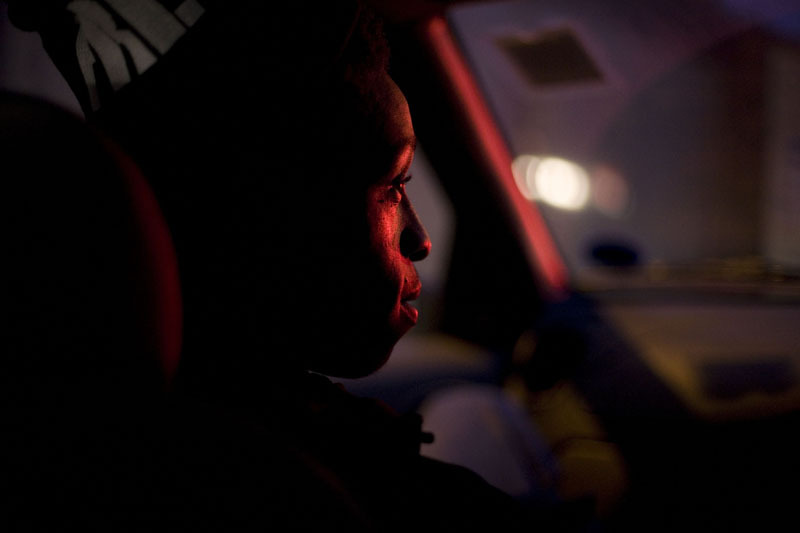 The fallout of Trim’s exit from Roll Deep dominates this track and many others on his recent mixtapes. Marga is Jamaican slang for skinny, Spaceape explained to me once. I found it funny, given there was an MC called Marga Man and another called Skinnyman. Trim’s also has an odd obsession with monkeys and adorns the Soulfood artwork series with artwork that apes (sic) the film “12 Monkeys.” Oddly, he regularly talks about monkey business and various ape analogies, despite the historical use of this metaphor (i.e. looking like a monkey) by racists. Here he replaces the word “laugh” for “laughter” for rhyming sake, before using a variation on the monkey theme and twist on the usual MC boasting-as-pre-emptive-threat bars, which together make comical bedfellows. Grime MCing isn’t that profitable. It’s pretty risky too. It is however, all about peer group visibility. Grime MCs “spit bars,” but sometimes the anger on dis-dubplates overwhelms them, such that they speak. Sometimes people involved with the scene but who aren’t MCs need to visibly, make that audibly, retaliate to war that concerns them. The upshot is a “talking dub,” a spoken word diss-dubplate. Volume 3. I am Trimothy. In a scene dominated by identity-based status, Trim plays with his name: Trim, Trimbale, Trimothy, Trevan, Shank-van … bouncing his name, bending his brand, expanding its worth with each transformation. The wrong person: I ain’t him. Wrong end of the stick, wrong person, I ain’t him. Much of MC bars are advanced bravado. I had this explained to me in the early days of grime by the Dizzee’s manager, yet I’ve always found it hard to qualify how much to believe, how much to take literally. When I find myself wandering dark parts of London trying, as I have recently, climbing into places where I don’t belong to try and locate Trim (long story, will tell you later...), I hear these words again. People with me, who haven’t listened to as much grime as I have over the years, don’t seem so as affected. How much is bravado, and how much is … real? …and tump someone in the face. No matter how small the hat the rabbit fits. Nice magic metaphor from Trim. Almost more prevalent than status-related identity, are location-related identity bars. In grime, disputes over tiny disparities of turf are the be-all and end all. Roll Deep got angry at me once when a sub changed an intro to say that their Baring House/West Ferry/Lime House aka “Whilehouse” (“because it gets so wild”)” was “proper east end like the Isle of Dogs.” I.o.D is where Trim, now ex-Roll Deep, is from, and it’s little more than a mile or two down the road: yet it made all the difference. You got a squeeze on Vol 1 & 2. About you telling police about what I did. I ain’t gonna hold my mouth while you’re hyping. This in essence is the root of the dispute between Trim and Roll Deep, and why he’s no longer a member: that when things got serious (“hype”) between him and the owner of a certain other crew in Napa, he wasn’t stood by. You can only talk so much Vol 3: Soulfood, Soulfood. And I’m on the streets, in the area. 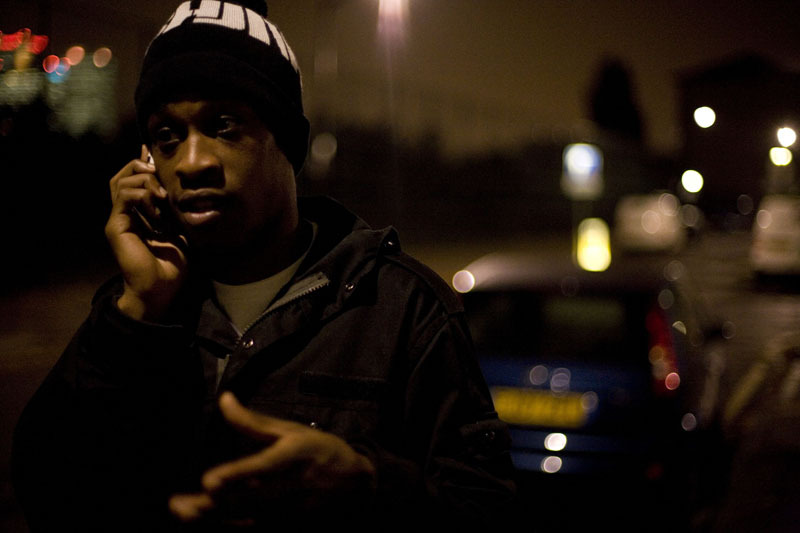 Trim’s got an amazing way of pronouncing “ask” like its written “aks” or “azk”. Between his corruption of pronounciation, his road slang and wordplay, Trim’s got an amazing grasp of the Queen’s English. It makes me think of all those stuffy, establishment grumpy bastards like John Humphrys, who use their expensive educations to write books bemoaning the demise and diversity of the English language. No one complains as business dullards invent and distribute Corporate Inc-speak or countless meaningless acronyms. And these establishment guys are the ones who celebrate those that recite past variants of the language like Chaucer or Shakespeare. Yet when young people use text speak or their own slang, it’s an attack on the Queen’s finest, not a celebration of diversity. Sure I appreciate the value of one, standard common language, to promote common understanding, but meaning is so easily conveyed by nuance or inference, why should we accept that language is static or centrally owned, by the Queen or those mistakenly defending her. I’d prefer to aks for Trim. And what’s worse about the establishment claiming definitive ownership of the English language is that grime so clearly cherishes it too. Look at how expressions are overtly created and propagated by its key players through mediums like mixtapes or pirate radio. Take Flowdan’s use of “NASA” last year or the current row over “it’s a lot”. And you know when you used to look up to certain man, doe? And you just… y’get me. But I just thought certain man were real, get’me? Grime’s always had an obsession with reality, with being “real,” despite much of it being bravado or an over emphasis on aggression. In many ways that’s what set it apart from both the escapist, dance-focused UK garage scene and the hyper-surreal riches of this decade’s US rap. Within this real aggression, the currency of war is reputation. Slewing, clashing, parring: they’re all methods of damaging an opponent’s most important asset, their standing within a peer group. And while this is something Trim specialises in, it’s still not to be taken lightly, hence the culture of the “indirect” bar where an opponent is alluded to but not directly named. “Call out me name/call out me name…” spits Trim elsewhere on “Soulfood Vol 3,” daring other MCs to abandon indirects. He ain’t got a leg to stand on, he’s past dead. You’re having a bubble bath about shower. This final bar is the most incredible line on the whole of “Soulfood 3.” It’s proof that Trim’s bars are absolutely leaden with complex meaning and delicious wordplay. “Shower,” like Flowdan’s “NASA,” is an expression propagated by Roll Deep (primarily Riko) circa 2004/5. In the first instance it comes from the legendary Jamaican gang the Shower Posse, but comes to mean “good” in the way anything in street culture with strength, power or a fearless reputation is equated with good. You’re joking if you think Flowdan has a reputation for being hard. Why don’t you tell him certain man don’t want him in it? The use of “certain” to mean someone undefined is signature grime parlance. It stems from the severity of calling someone’s name out and from knowing that by calling that name out, the person will be duty bound to retaliate. In this case we can speculate that Trim’s avoiding involving members of Roll Deep he doesn’t have a direct issue with. …FlowDan’s a big guy, a big man, like. I’m only 23, he’s 28, 29. I’m just lookin’ up to him and talking to him in certain ways. More use of the word certain, this time used to hide how he used to act with respect around Flowdan. He ain’t really out for me, getme. This seems to suggest some of their past respect was based on shared cultural roots (Trim’s parents are from St Lucia), but now present local politics have over-ridden them. So, he could be one of the reasons why I aint in Roll Deep right now. So let me have a go at it. The “Rowing” reference, Trim explained to me after he used it in “The Bits,” is a coded reference to Roll Deep. The age dis is another grime feature. Grime MCs are often kept on their toes by “youngers,” members of sub crews that rank lower in the pecking order but are often more eager to prove themselves and hence, more unhinged. The age concern is present in bars like Jammer’s “I’m a big man/ but I’m not 30…” as reaching that age would be the end of the world, an idea possible only if you’re 15 and 30 seems an un-imaginable horizon. I’ m Lee Van Spit!